With some excitement, yet still fearing I might be being led up the garden path, I set foot outside the house and walked towards the end of the road. Everything seemed quiet and orderly, nothing suggesting I was in the immediate vicinity of a suspected bomb. Upon reaching the main road, I looked to my right and towards the train station. 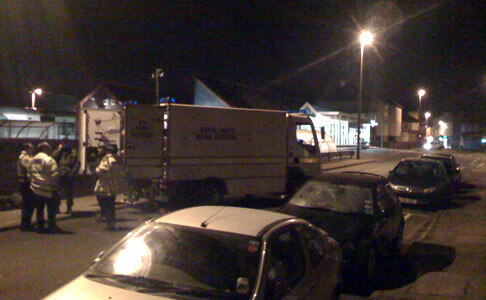 There I saw a deserted road sectioned off with police tape, and a bomb disposal robot just in front of the station lobby. 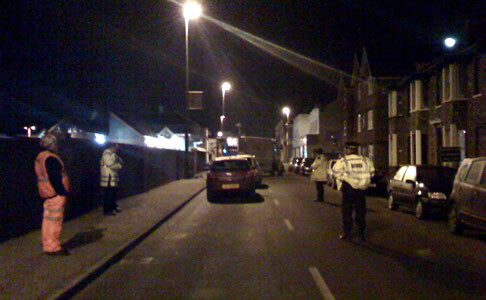 Turning to my left I saw a Royal Navy Bomb Disposal Unit and several police officers, who by this point were asking me to move towards them and away from the cordoned off area. After talking to some of the officers on the scene, it turns out they had been there for a number of hours, in a delicate and drawn out exercise. After watching them shot at the package from afar (I was told so they could disturb it and examine the contents more closely) they were still determining its safety when I returned home around 1am, although by this time I guessed a conclusion had already been reached: it was safe. All in all, a pretty exciting start to the weekend! I’ve been living in Littlehampton for almost a year now, yet working 25 miles away from Brighton has meant enduring the somewhat tedious chore that is commuting. This is often a more eventful affair when the journey is taken later in the evening, and tonight was no different. Last week Birmingham City Council launched its new £2.8m website. Delayed, over budget and woefully inadequate, it rightly faced a storm of criticism on Twitter and from the local press. This last weekend me, Ellen, Nash, Hannah and Charis joined Jon on a visit south to Littlehampton where we spent two days with his girlfriend Katie and her mates, at a house she was looking after.